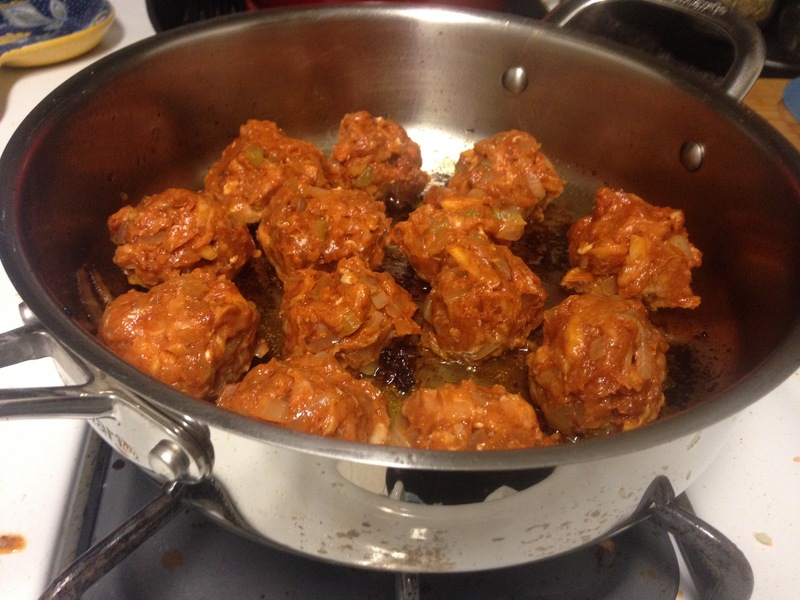 Recipe #3: chicken meatballs in a tomato sauce. They have a different name… But they’re meatballs. Also, once again amazing. We had to do three recipes to make the findings of awesome statistically significant. Zahav for the win. If you don’t have this recipe book, you need to get it. The next one is hummus! Just the standard hummus recipe, but I have high expectations. So today at SilverSpoon BakeStop, I have an exciting new plan. Well, exciting for me. Every Wednesday me and a couple of friends are going to start a dinner club of sorts. We all make the exact same recipe and compare the results. This is great so we can keep in touch now that we live so far apart, and also so I can see where exactly I went wrong in the making of my recipe. The recipe for tonight is a Cajun Chicken and Pinto Bean dish from the latest Food Network Magazine in all its glory. The weeknight meal section is always bomb… Sometimes a little bland, but that’s easily remedied with an extra jalapeño. I don’t care if it’s brownies… It needs a jalapeño. So I’m about to get started. I’m on the east coast and everyone else is in Texas. So I’m starting early. I get hungry. I think I may also watch Pitch Perfect and have a Facebook Sticker battle with a friend while this is underway. I am an adult, I swear.